A few years ago, I encountered Shawn Smucker's writing via the late, great Burnside Writers Collective website. 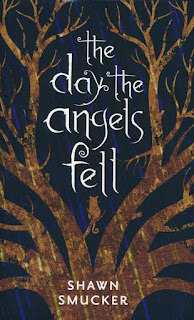 In addition to Burnside, his work has been featured as part of several different projects, but "The Day the Angels Fell" is his first novel. It tells the story of 12-year-old friends Sam and Abra, who react to Sam's mother's tragic death by embarking on a quest to bring her back to life by any means necessary. Unbelievably, the means to do so present themselves in short order, and the quest is on. These two friends make deals with angels, figure out a mystery or two, and fight heroically, all while battling grief and fear, and coming to some hard but necessary conclusions about the important role that death plays in our world. (5) a story that has depth and a meaningful message without being preachy. I'm glad to say that "The Day the Angels Fell" hits a home run with all 5 of these. I truly hated to see this book end, but the good news is that the ending left open the door for more stories featuring many of the same characters. If someone were to take a stab at making this into a movie, I can't say I'd be surprised. 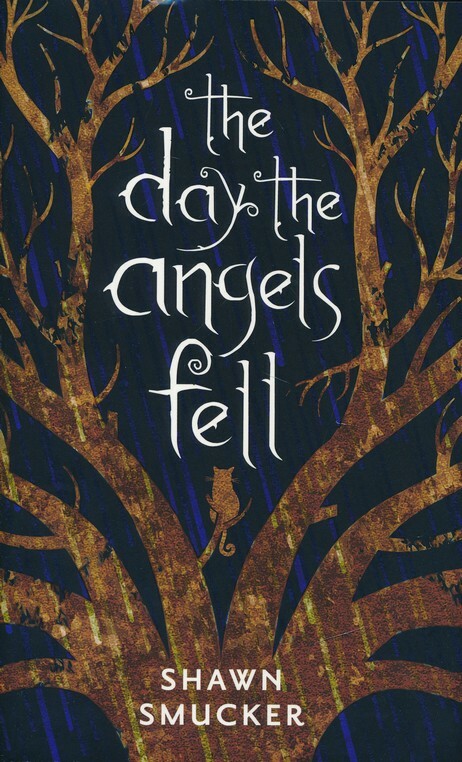 I've known for years that Smucker is a talented writer; "The Day the Angels Fell" demonstrates that he's a skilled storyteller, as well. As I have said previously, I'm pretty much done with partisan politics. I'm skeptical of those who claim they're neither Republican nor Democrat, but in reality, they still see the world through one lens or the other. I won't try to tell the same lie: when I say I'm equally disgusted with both parties, I'm also making it clear that I lean strongly to the Right on most issues. Believing in principles does not necessarily equate to aligning with a party and defending the actions of that party's leaders or most prominent officeholders. In fact, it's just the opposite. I have a lot more respect for someone who's not afraid to call out members of their own party when necessary than I do for those who cheer for their team regardless of principle and regardless of basic decency. Readers of Donald Miller's excellent book "A Million Miles in a Thousand Years" were introduced to Bob Goff, a man who I'd swear is a fictional hero if Miller didn't insist he was a real person. Goff sounds like he's too good to be true. The stories in Miller's book are pretty amazing: his kids invited themselves to meet with the leader of every nation in the world, and 29 presidents, kings, and princes took them up on it. Goff started a New Year's day parade in which several blocks of neighbors participate. He managed to push through several judicial reforms in Uganda which resulted in kids being freed and witch doctors being put out of business. And that's just the start. I recently watched "I Am Legend" for the first time in a couple of years, and the 2nd time ever. I'm not a big zombie-movie guy, but this one is different. My first time watching this film left me satisfied with the notion that I had seen a well-thought-out, intelligent movie, not afraid to pull punches nor to explore important topics that go way beyond typical zombie/apocalyptic movie fare. The second go-round, though, was disappointing. I noticed plot holes so blaring, so huge, they could not be ignored. I was left with an uneasy feeling that I had been duped the first time around, tricked into thinking I was watching something thought-provoking and cleverly put-together.